Equine Services Directory - O Horse! Since 2003. Whole horse cremation service. We service all of Tennessee & So. Kentucky. Pick-up, return, brass nameplate, and urn are included with cremation. Pick-up from vet, farm, or residence. All-Tenn can also ship cremated remains within the U.S.
Saying goodbye to an old friend is difficult for everyone. 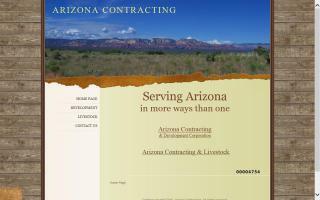 Arizona Contracting & Livestock offers a professional and considerate end of life service. During your time of need, we provide a humane and legal process to ease your situation. This may be the last thing you want to think about, but just in case, please save our phone number. The preventative to panic is being prepared. Ride Safe & Happy Trails. Please see our photo ad for our licensing and contact information by clicking on our company title above. We offer various equine services with our specialty being manure removal and building manure bins. We offer equine mortality management as well as horse transportation. We are located in eastern Pennsylvania and service parts of NJ, MD, and Delaware. Daily horse stall cleaning and manure removal service. 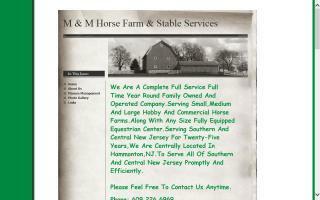 • Scheduled services (daily) - $8 per stall with manure removal. • Priority services (as needed) - fill in for vacations, holidays, sick or personal days for YOU or your help. • Remove existing "old piles of poo"
• Snow plowing for outdoor riding arenas. 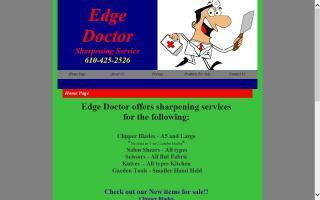 Sharpening service for clipper blades, salon shears, scissors, and knives. Local pickup service. Mail-in service available. All orders delivered or shipped out within 5 days of receipt. 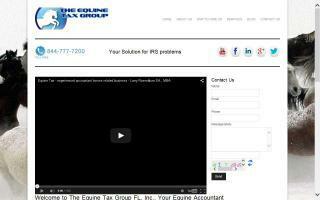 The Equine Tax Group has over 75 years of experience working as IRS agents and managers. The experienced professionals at Equine Tax Group can help you solve your equine related tax problems. Contact us today for assistance with IRS audits, Hobby Loss issues, Passive Activity Loss, IRS collections, State Tax issues, and Equine and Farm bookkeeping and accounting services. Please see our website for testimonials and more information. Open to all breeds. We are not a registry. Your horse may be inspected and still maintain its breed identity! 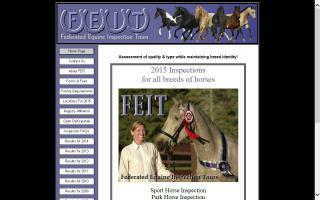 FEIT is one of the first independent equine inspection tours in the USA. FEIT allows ALL horses of ALL breeds to participate, regardless of age, gender, breed, or registration. Anyone who wishes to have an opinion and a score from the judge may have their horse inspected. I am a grant writer for youth health & education programs using equines in conjunction with therapy, experiential learning, or physical activity. As we all know, these programs are more effective than traditional psychotherapy, improve emotional intelligence, strengthen resiliency, and get youth outdoors. I have a 3-step method. First, help you put together a winning formula that will allow your organization to solicit funding. Second, research the most suitable grants available for your type of program in your region. Third, write a compelling proposal that demonstrates why your organization merits the funding over the other applicants. My rate is $60/hour plus traveling expenses (as of Mar 2011). You not only have a right to ask for funding, you have a responsibility to do so. Let me help you get started. Proof of ownership on livestock has been a growing concern since man first claimed ownership of any form of animal. During the 1970s, information was gathered and studied by Washington State University, the United States Department of Agriculture, The Arabian Horse Registry, and an agent in charge of the Colorado Bureau of Investigation to research the pros and cons of livestock identification methods. In 1980, their research was published in an article titled "Freeze Marking and Other Techniques for Identifying Horses" in the Journal of Forensic Science. Dr. Keith Farrell of Washington State University and his wife Pat developed the Alpha-Angle Freeze Mark and horse identification system that has gained recognition internationally. Many top breed associations and the Bureau of Land Management highly support this method of identification. Horse owners have to deal with recovery issues for horses after theft, a national disaster, and disease outbreaks. The need for horse identification that is visible, individual, permanent, unalterable, humane, and compatible with modern technology has been accomplished through the Alpha-Angle freeze marking process. 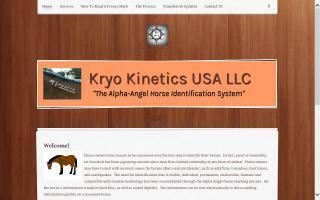 Our mission is to provide horse owners with an individual, permanent, unalterable, visible, and humane form of horse identification which is combined with a computer database of horses' individual information that will aid in the recovery of stolen or missing horses by combining the visible freeze mark with the technology of today. We cover the entire USA and have over 25,000 horses in our database. If you own, or have found a horse that has the Alpha-Angle freeze mark, please contact us so we can update the horse's information. For more information about our history, the process, how to read a freeze mark, finding or becoming a technician, or updating a horse's or owner's information, visit our website. trainers, farriers, and hay suppliers, along with many others agree that a very clean and kept up environment is the number one most important objective to keep you and your animals healthy & happy! References and testimonials available by request.